One of the drawbacks of some other exterior loading systems is the limitation on vehicle size. 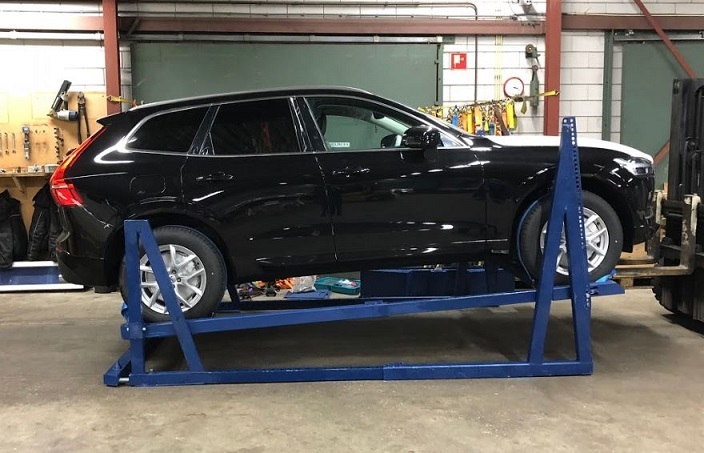 Many have a differently shaped loading cassette for the top vehicle and the bottom vehicle, which is only big enough to take vehicles of a certain size. The EL-RAK has a single type of cassette for both upper and lower vehicles which can be adjusted for any vehicle size and shape. The advantage is that the same equipment is used to transport hatchbacks, SUVs or sedans and pickup trucks. 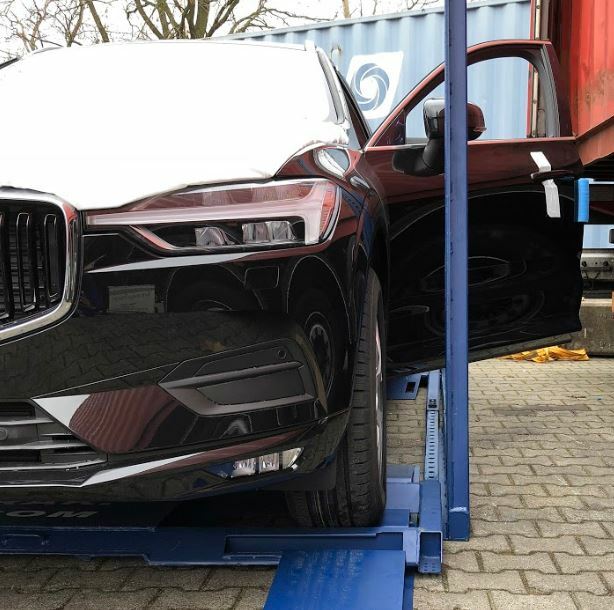 As the transportation cassettes can be easily adjusted, this gives you the flexibility to transport a combination of different vehicles within the same container. Furthermore, you can adapt the racking to a different configuration of vehicles for both the outward and return journey. The EL-RAK’s independently adjustable cassettes mean that any combination of vehicles can be loaded externally. This flexibility means that small and large vehicles can be shipped at the same time, in the same container, with the same equipment. Simple. In designing the EL-RAK, we wanted to keep the class leading advantages of the R-RAK and apply them to the external loading process. 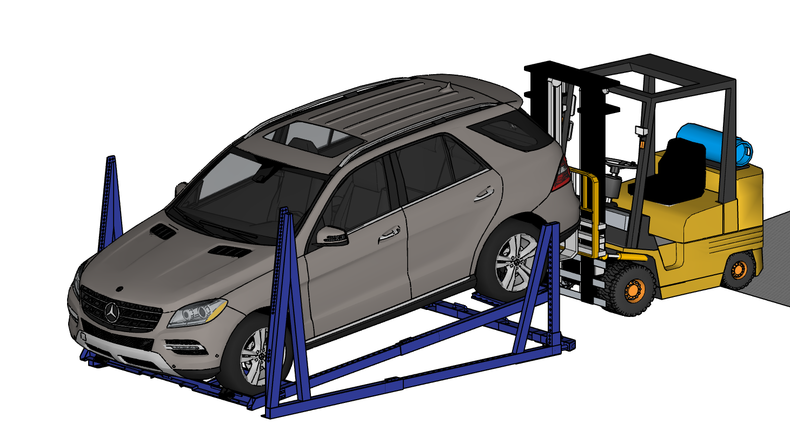 A typical 40ft container could carry 3 to 4 cars using an EL-RAK – load efficiency is maximised by loading the cassette into the container horizontally and then tilting the cars once they are inside. This avoids the loading restrictions placed by manoeuvring tilted vehicles past the 110mm bar at the door of every shipping container. The EL-RAK can be adjusted to accommodate vehicles inside any type of shipping container. These include standard, highcube and palletwide, 20ft, 40ft, 45ft and 53ft containers. The EL-RAK is manufactured from lightweight, high tensile steel which gives it a high weight bearing capacity while keeping mass to a minimum. This keeps your costs down for return shipping as more EL-RAK systems can be returned in a single shipping container. The EL-RAK is fast to assemble and easy to operate. Vehicles can simply be driven onto wheeled cassettes outside the shipping container and then manoeuvred into place using a standard forklift truck. Maximising the number of racks returned per container reduces operating cost. The EL-RAK has been designed for ease-of-use, reusability and maximising the number of racks returned per container. For example: The EL-RAK can load a minimum of 45 sets per 40ftHC container. That’s 90 cars-worth of racking! 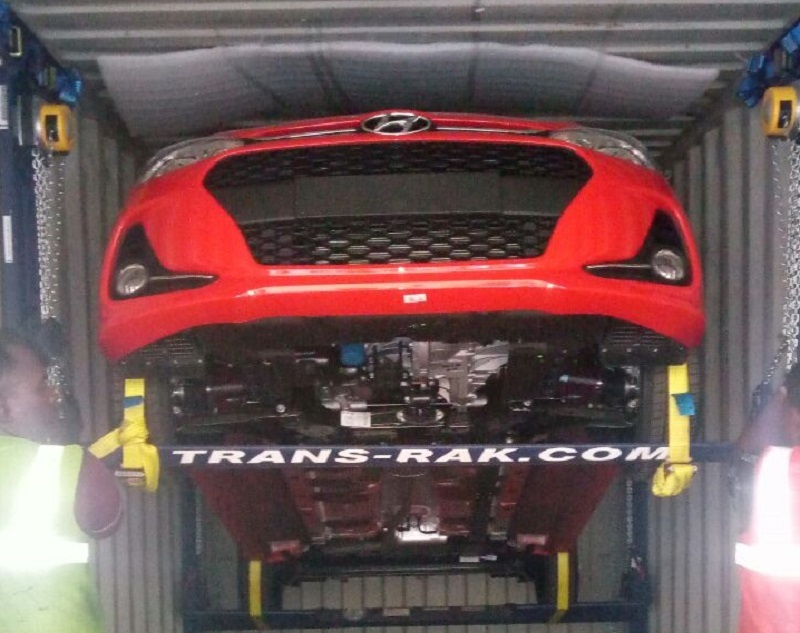 In some situations, the racking required for over 100 vehicles can be loaded inside one container; for every 35 containers outbound, only 1 container is needed to return with the Raks. At the end of a journey it is a simple matter to collapse and stow the EL-RAK to prepare it for return shipping. To find out more about the EL-RAK, please call +44 (0) 1926 408282. 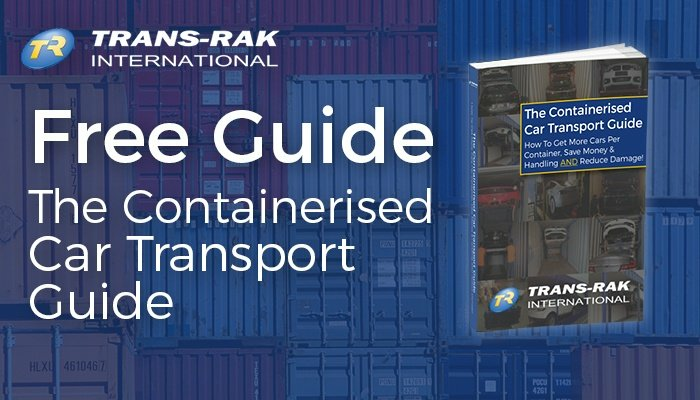 More information about car container transport and its alternatives can also be found in our free e-book: The Containerised Car Transport Guide. Click here to download a copy. How Does The R-Rak Containerised Solution Work?